Sorry for the delay, here's the rest of the sneak peek! It was a really busy day at the studio and outside and hence here's the only photos I have for now. Started make-up early morning for studio shots. I've got this pre-conception that studio make-up is more dramatic than normal make-up, and I thought I would be unrecognisable and looking much older. 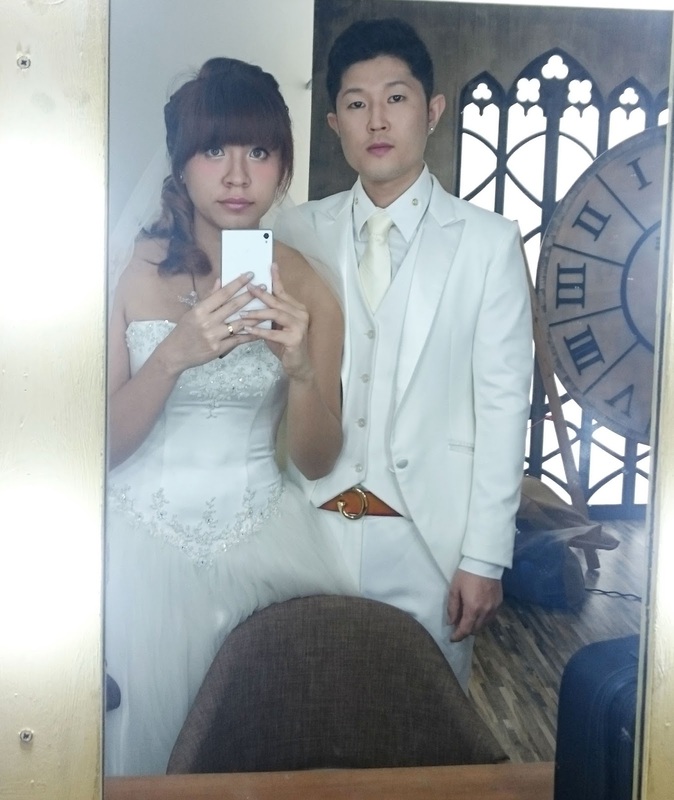 Turned out our make-up artist was so good, she reconstructed my face to a studio + toned down version of my usual make-up! Hats off to that!! She had also noticed from my own make-up that I dab lots of pink cheek powder directly under my eyes and she helped me do it too! I was soooooooo happy!! 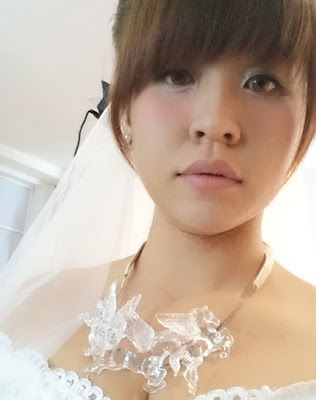 Didn't really use any accessories to go with the gown, except for a few crystal ear studs and my prized possession - the glass Pegasus necklace from Bimba & Lola. The make-up artist gave me a cat hair as requested. 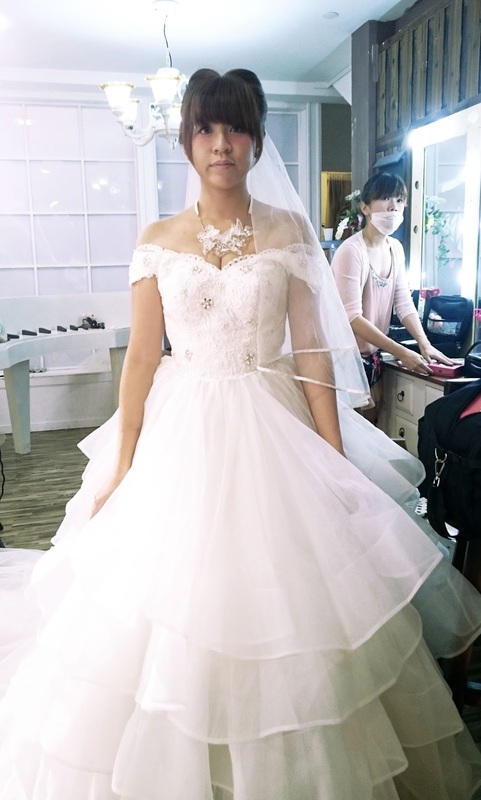 She said this is the first time she's doing a non-bridal hair for a bridal shoot. Got to see some actual previews in November and they turned out really pretty! For not-so-photogenic like us at least, we could recognise ourselves! This is thanks to our powerful make-up artist x cameraman! Quality Jewelry & Accessories and more! Free shipping worldwide! Use coupon code "LEET10" for 10% off sitewide on regular price items! Discover Charming Bridesmaid Gowns from a broad selection of Bridesmaid Dresses at Affordable Price. Autumn-Winter 2013 looks' long overdue post.